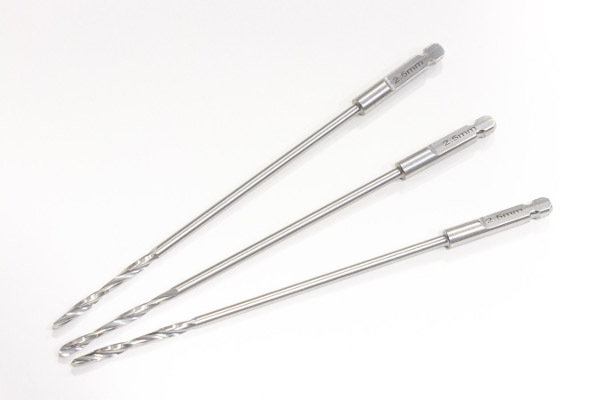 MCS product quality and grinding expertise mean better surgical outcomes. Our creative design capabilities and flexible manufacturing process enables us to create custom mandrels for your specific application. We now stock French sized mandrels and other sizes for quick shipping. Get A Quote Now! 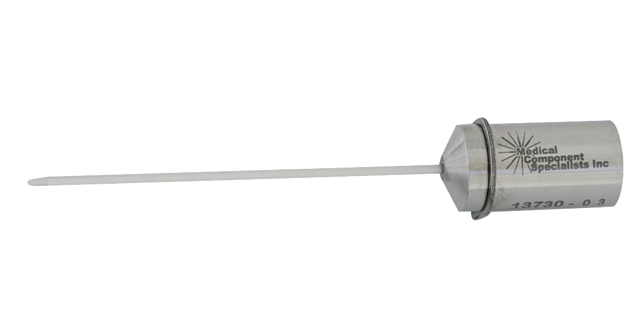 We will work closely with you to manufacture a customized medical instrument solution to meet your specific requirements. Contact us today! MCS Mandrels are also available through Chamfr. This application, for ESI/Visicon Inspection Systems and other similar equipment, is optimized for maximum safe production leading to higher stent inspection throughput. Engineered to reflect optimum light, this process allows for easier defect detection. It’s also a safer inspection. 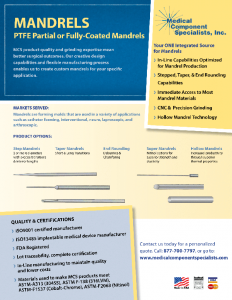 The mandrels are smoother to prevent unintended damage to stents resulting in less downtime due to damage. 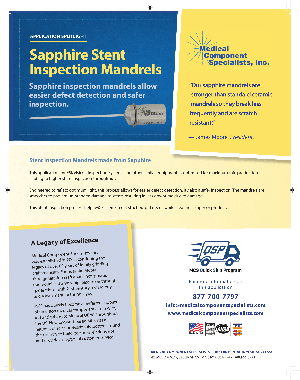 This Stent Inspection process helps MCS clients meet strict output needs while creating a superior product. 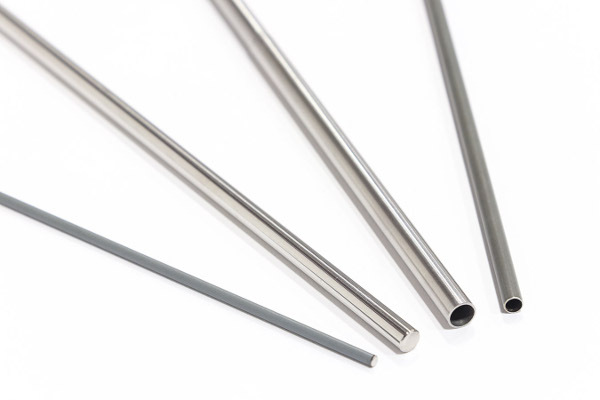 Nitinol- Ideal for smaller mandrels prone to kinking, Nitinol combines superior strength and elasticity. 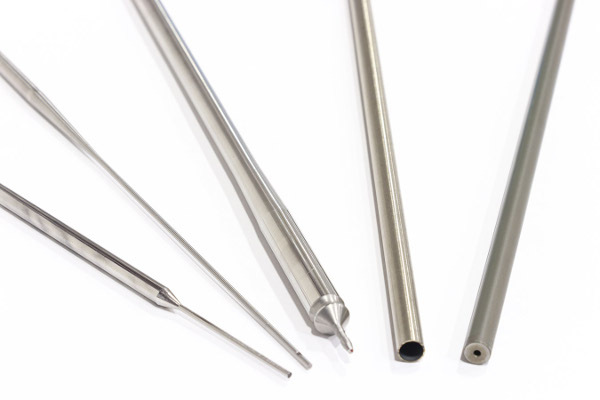 Our Nitinol “Super Mandrels” last up to 10 times longer than Spring Temper Mandrels. plugs can be welded on for clamping purposes. Tool Steels -Tool steels are utilized for superior strength, hardness, and resistance to abrasion and deformation. Offered at up to 60 Rockwell hardness, these can with stand razor blade cuts directly on surface. Medical Component Specialists, Inc. was established in 2002, continuing the legacy of over 60 years of family grinding craftsmanship. Founder Jim Moore, a third generation craftsman, incorporates traditional craftsmanship, passed on through generations, with 21st century technology and a lean manufacturing style.